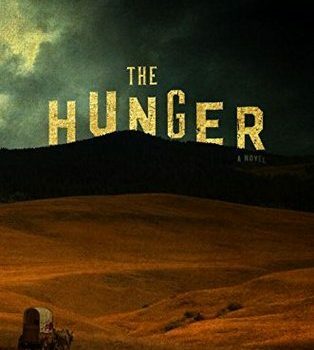 The Hunger, Alma Katsu (Putnam 978-0735212510, $27.00, 384pp, hc) March 2018. Every history is to some extent a secret his­tory, offering new information on its sub­ject, or, barring that, a fresh perspective, which may yield similar results. Nowhere is this more true than in books addressing themselves to famous subjects, which must make a greater effort to earn space on bookshelves already crowded. If historical fiction has the advantage of using its freedom of invention to achieve the same effect, it has the added challenge of making its innovations square with events as they have been recorded of­ficially. At its best, a historical novel can impart a vivid immediacy to past events, making them live in the reader’s mind, allowing her to draw near to them. 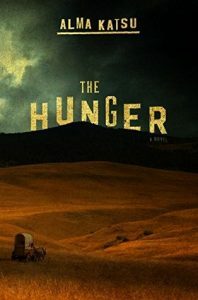 This is the case in The Hunger, Alma Katsu’s gripping novel of the famously ill-fated Don­ner party. The narrative of the westward-bound wagon-train whose members became stranded in the Sierra Nevada mountains by winter snows, running out of food and turning to cannibalism of their dead to survive, is among the most notorious of the American expansion. In an especially stark way, it illustrates the unexpected challenges the would-be settlers would confront, and the horrific solutions to which they would be forced to resort to meet them. It’s a nightmare complement to the plethora of triumphalist images, novels, and films celebrating the story of the men and women who won the American West – with pieces of their fellow settlers between their teeth, the Donner narrative says. It has haunted American literature, sometimes obliquely, as in Bret Harte’s “The Outcasts of Poker Flat”, sometimes satirically, as in Mark Twain’s “Cannibalism in the Cars”, and sometimes directly, as in Richard Rhodes’s The Ungodly: A Novel of the Donner Party. Katsu’s ambition is to revisit the events of the winter of 1846-1847 through the lens of the su­pernatural horror novel. A prologue, set in April of 1847, relates the efforts of a salvage party to reach the mountain lake where the majority of the settlers stopped. The place is desolate, the air full of the smell of blood, the muddy ground littered with pieces of human bone. It’s an effec­tive dramatization of what we already know about the narrative going in, namely, that it will end in horror. From there, the novel backtracks almost a year, to the previous June, when the Donner party has joined the much larger Russell party and the great wagon-train is only a few days out across the plains from Springfield MO. Katsu moves through the points of view of a large cast of characters, from Charles Stanton, who is haunted by a past tragedy, to Tamsen Donner, who conceals her knowledge of herbology and folk medicine lest she be accused of witchcraft, to Elitha Donner, who hears what she gradually realizes are the voices of the dead. Already at this point in the journey, Edwin Bryant, a former journalist, is voicing concerns about the wagon-train’s leisurely pace, which promises to delay their crossing the mountains lying ahead until the winter snows have begun. By now, the party is subject to the tensions and intrigues that develop in any large group of people. More ominously, a young boy, son of one of the large families in the train, goes missing. When his lifeless body is discovered, the flesh has been stripped to the bone. The leaders of the party decide to call it a wolf attack; although Bryant remarks that no wolf kills and devours its prey so thoroughly. In the grisly particulars of the boy’s death, the narrative foreshadows the Donner party’s even­tual fate. It also introduces the idea that there is something following the wagon train, waiting for the next hapless victim to wander too far from safety. At the end of the first section, Katsu includes a letter from Edwin Bryant to his wife, which provides additional perspective on the vari­ous members of the party, as well as a possible clue to what befell the slaughtered child. At Fort Lawrence, Bryant writes, he met a mountain man headed west out of the Rockies. When this man learned of the Donner party’s intended course, he attempted to dissuade its leaders from following it, much to George Donner’s irritation. To Bryant, the man told a story of having witnessed a small local tribe, the Anawai, tying one of their young men to a pair of trees in the forest and leaving him there, apparently to die. The mountain man described it as an instance of human sacrifice, but to Bryant, it had more the sound of a punishment. 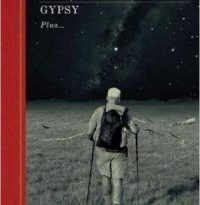 Until the novel’s final section, Katsu will close out her account of each month in the party’s trek with a similar narrative shift, generally moving backwards in time to focus on an important moment in the life of one of the wagon-train’s members. Some of these scenes provide addi­tional information crucial to the ongoing story of whatever is stalking the settlers, but all of them deepen our sense of who these people are, filling in the outlines of their characters, giving them additional solidity. As the novel proceeds, the Donner contingent splits from the larger Russell group, whose destination is Oregon, and continues toward California. The mood among the settlers wors­ens, tempers flare, the possibility of violence clouds the air. The threat that has been pacing the settlers draws ever nearer. The party discovers further remains (possibly those of the young man Bryant’s mountain man described). One of their dogs tastes what little flesh remains, then bites his owner. Within little more than a week, the man will undergo a frightening transformation, from a meek, sickly individual to something aggressive, feral – and hungry. The identity of the creatures that have been trailing the wagon-train slide into focus: they are a form of lycanthrope, patient, fast, and deadly. As the party’s situation grows steadily worse, so does the creatures’ menace increase. There is a peril in a narrative such as this, of the supernatural threat to the European settlers func­tioning as a stand-in for the native peoples through whose territory they are (tres)passing, with the result that the plot plays out well-worn clichés of the struggle between civilization and savagery. Katsu manages to avoid this pitfall by linking the origin of the lycanthropes to earlier incur­sions into the western territories by prospectors. Rather than a symbol for the Native Americans, the ravenously hungry monsters emerge as a trope for the appetites that drove many of the settlers to leave their homes and join the wagon train. It’s a testament to Katsu’s skill as a writer that she creates characters so compelling that we can’t help hoping they will escape the fate we knew was hurtling toward them the moment we opened the book. She ends the novel with an image of sacrifice and an image of reconciliation, each of them powerful and affecting. They give the book a melancholy resonance. It’s a fine novel. John Langan is the author of two novels, The Fisherman (2016) and House of Windows (Night Shade 2009), and two collections of stories, The Wide Carnivorous Sky and Other Monstrous Geographies (2013) and Mr. Gaunt and Other Uneasy Encounters (2008). With Paul Tremblay, he co-edited Creatures: Thirty Years of Monsters (2011). One of the founders of the Shirley Jackson Awards, he served as a juror for its first three years. He lives in New York’s Mid-Hudson Valley with his wife and younger son. 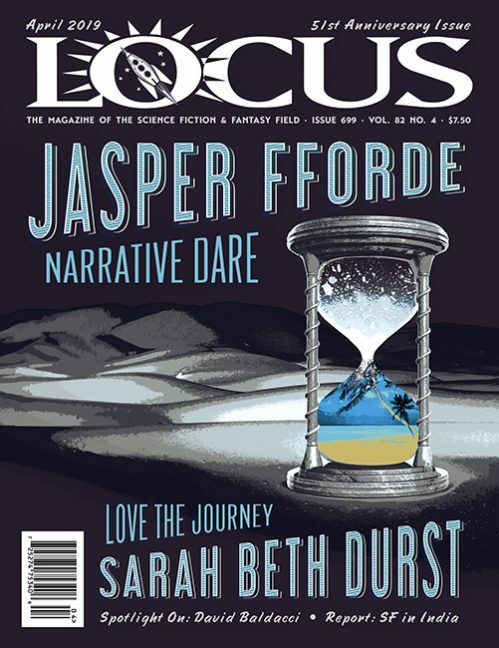 This review and more like it in the May 2018 issue of Locus. Thanks for spoiling the supernatural reveal, spoiler.